What does HB2313 mean for Virginia? Passed in 2013, HB2313 is the largest transportation funding bill in the history of the Commonwealth. 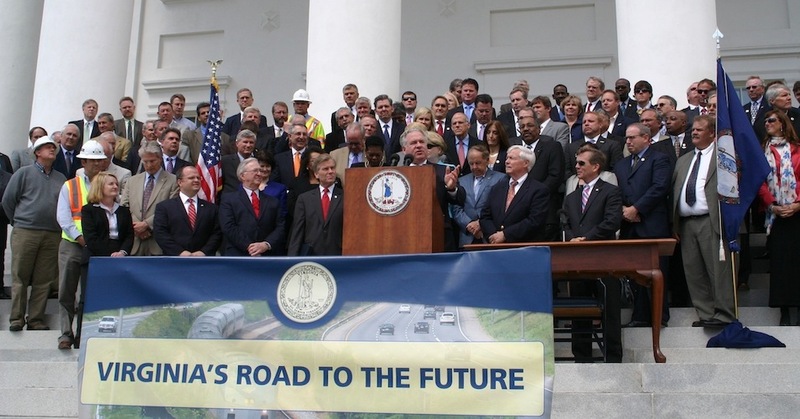 Prior to HB2313, Virginia faced a true transportation funding crisis. More than two years later, we’ve seen numerous positive impacts from the bill including two new pieces of legislation, HB2 and HB1887. However, while transportation funding is greater, it cannot be checked off the list as a problem solved. We must continue to advocate for transportation funding so that travel through congested areas can be smoother and also so rural towns across the Commonwealth have the proper infrastructure for economic development, accessibility and safety. So while HB2313 is not a cure-all, it is the boost Virginia’s transportation network needed. In 2012, before HB2313 passed, hundreds of miles of roadways and bridges across the Commonwealth were failing or not up to standard. More than $2 billion is now allocated every year specifically for transportation needs. Hampton Roads and Northern Virginia receive an additional half billion dollars per year that’s designated for transportation construction in those areas. Less money is being transferred from construction funds to cover the cost of maintenance for projects that need repair. I-95 HOT Lanes – The billion-dollar project has improved congestion, mobility and connectivity on the busiest road in Northern Virginia. Route 29 Solutions – The Charlottesville-area project will widen Route 29, one of the area’s most traveled routes, to six lanes and improve upon existing traffic signals. I-64 Capacity Improvements – Multiple widening projects are taking place in the Hampton Roads area to alleviate major congestion issues. Transform 66 – Multiple improvement projects are in the works to transform Northern Virginia’s Interstate 66, both inside and outside the beltway. Learn more about additional upcoming transportation construction projects throughout the Commonwealth.